After all of the shock news last week, we’ve had a further blow this week in the news that Mary Berry will not be following the show when it moves to Channel 4. Paul Hollywood confirmed that he would be staying with the show, making him the only one to remain. There was a foreshadowing of the future moment this week when Sue made a joke at Tom’s bench and then walked off saying “I’m leaving the tent”… oh Sue, if only you’d known! This week I’ve made a classic Bakewell Tart and you can find the recipe and instructions at the bottom of this post. 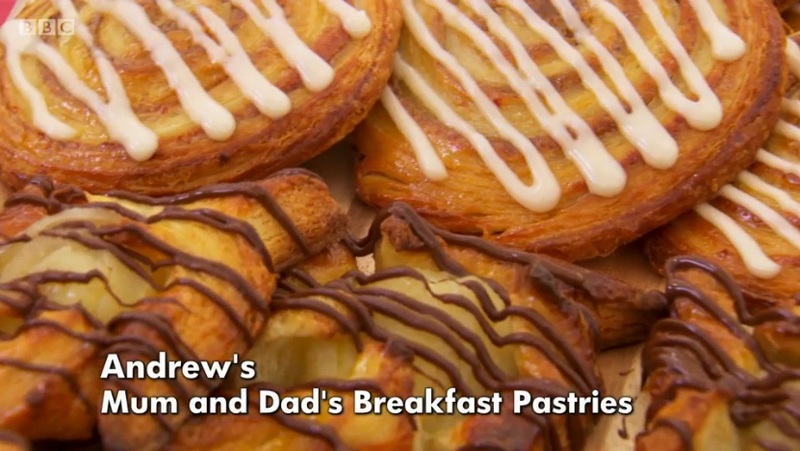 The signature challenge this week was to make two different types of Danish breakfast pastries. 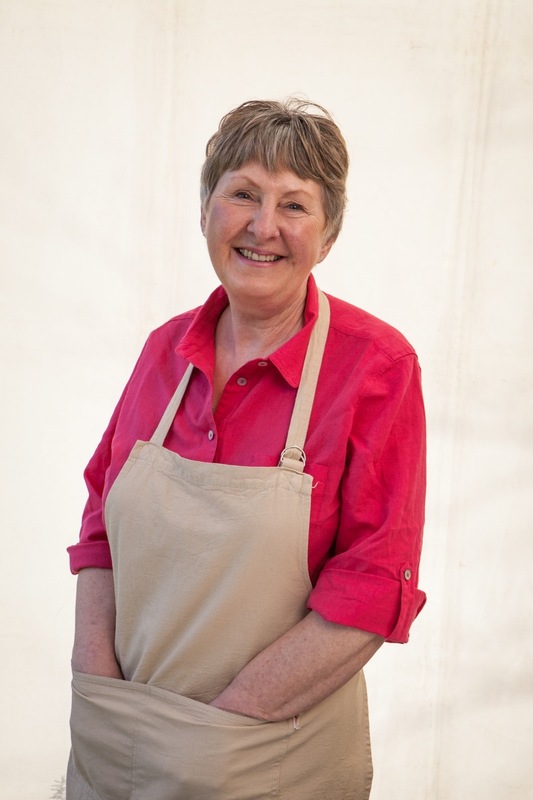 Mary wanted the bakers to produce a crisp buttery pastry and Paul said this challenge was all about time management. They all used enriched doughs and all of the bakers except Jane made one dough that they split in two. Jane made Pain Au Raisin with a orange and cardamom dough and Raspberry, Chocolate & Almond Danish with a cinnamon dough. Candice was the only baker to brave a savoury pastry with her Croque Monsieur Kites featuring mushrooms, gruyere and pancetta. Selasi’s pastries were very tropical themed and featured pineapple, orange and mango. Val was being her usual unqiue self and had brought dental floss with her to cut her pastry with. I hope it wasn’t mint flavoured! 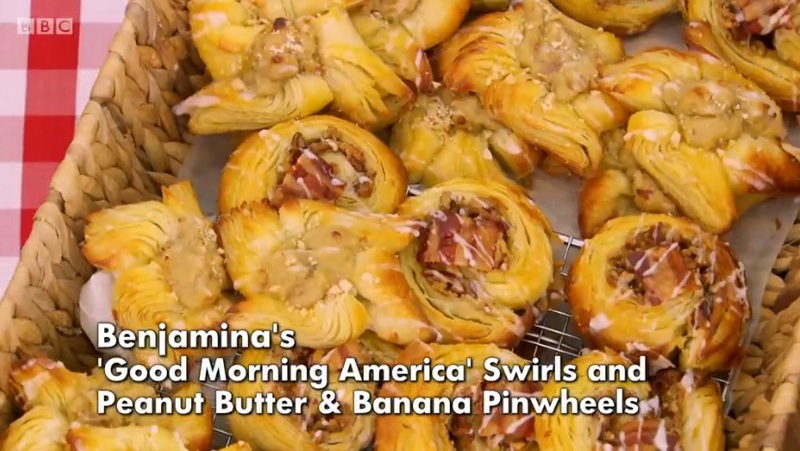 Benjamina went all American with her flavours and made peanut butter and banana pinwheels, and pecan swirl with maple syrup and candied bacon. Everyone struggled towards the end with timing, and Rav even forgot to bake one of his pastries. Tom didn’t fare so well during judging as one of his pastries was dry and the other was so raw the judges wouldn’t even taste it. Val, Selasi and Benjamina all had problems with their pastry being undercooked too. 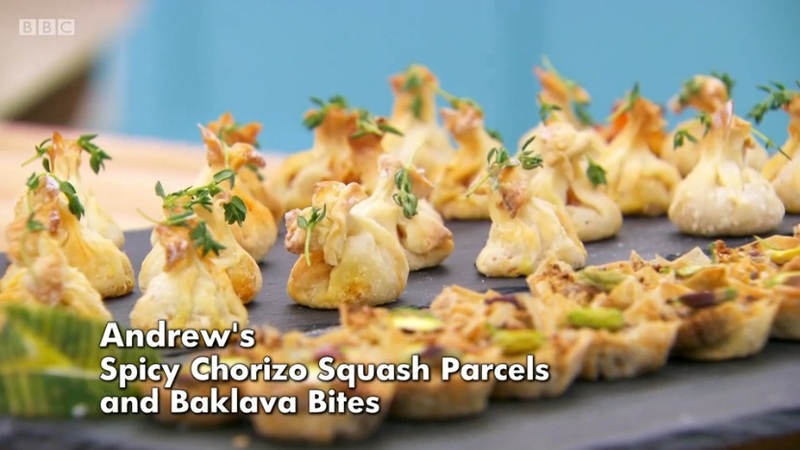 The judges like the flavour of both Rav and Andrew’s fillings. 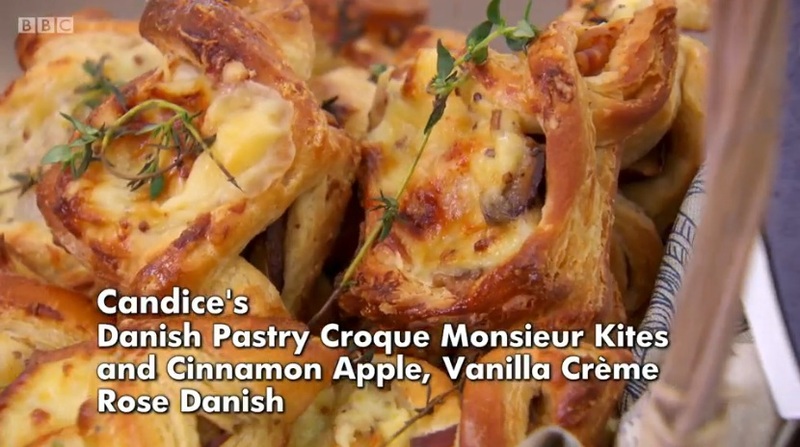 Jane got a great result with her pain au raisins, and Candice’s savoury pastries went down very well. This week’s technical was to make a Bakewell Tart, I love how they are bringing all the technical’s back to basics this year. There was a bit of internet uproar over the tart in question due to the icing covering the top, however this was Mary’s version of a Bakewell Tart. 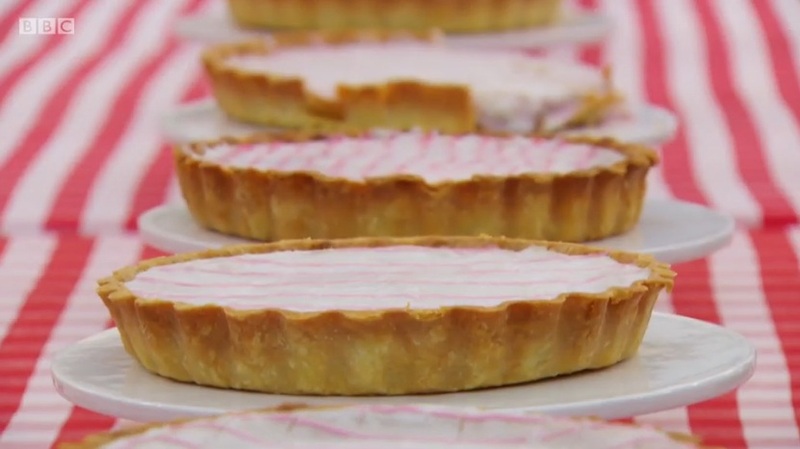 The judges expected all of the bakers to know what a Bakewell Tart looked like and to know all of the techniques involved in making one. The recipe instructions were very minimal, and Selasi suggested that the more ‘aged’ bakers would know what they were doing. Val got stuck in straight away, as did Jane. However, Val was only using the second sheet of the instructions and she only saw the first sheet after 20 minutes of time had gone by. She’d guessed all of the recipe quantities. To be honest I’m not sure how she did this as the instructions started from number 5 on the second sheet which would surely have been the biggest clue. Even when she did find out, she still continued to ignore the instructions and made a series of bad decisions, despite the fact she makes a Bakewell Tart every week at home. Rav came last as his pastry collapsed, Val came 7th, Andrew was 6th as his oven wasn’t turned on for the first 15 minutes, Benjamina 5th, Tom 4th, Selasi 3rd, Candice 2nd and Jane was 1st. 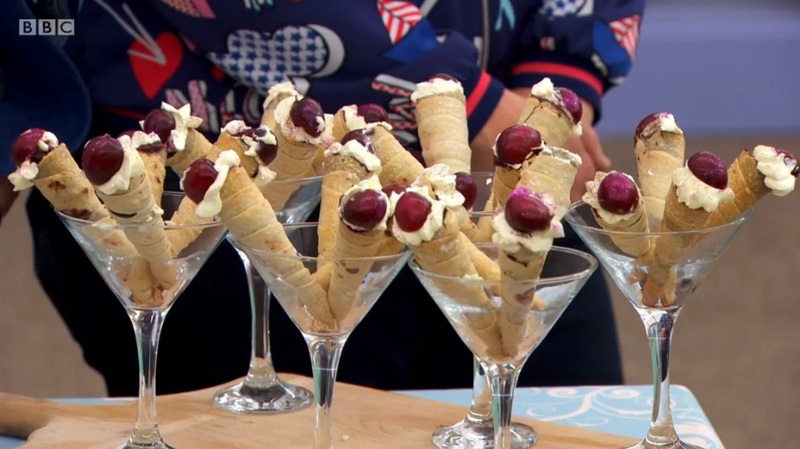 The showstopper this week was to make 48 filo pastry amuse bouches (aka canapes), one savoury and one sweet. Filo pastry is quite a nightmare to make from scratch, I’ve done it myself once before when I made a Fruit Strudel. Mary advised that the pastry should be wafer thin and Paul wanted the canapes to be bite size. Val went with a Christmas theme and used mincemeat in her filo parcels. Jane was quite brave I thought by using cone shaped moulds to wrap her filo around, they looked like such a faff and kept falling over. 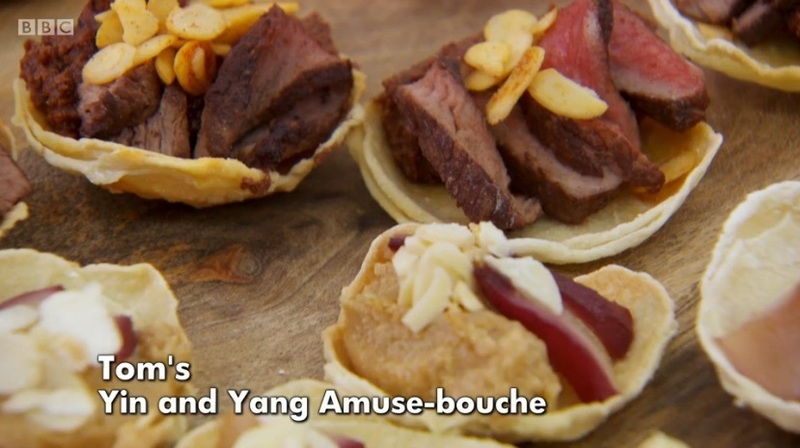 Tom was very ambitious by mixing chocolate with chilli and steak – yes you read that right! He is taking things too far in my opinion, there’s experimental and then there’s just plain risky. Selasi was using coffee to flavour his sweet filo, and he said that simplicity was a good thing. Benjamina was influced by her Nigerian roots to add plantain to her showstopper. Then the stretching began! The bakers used broom handles, rolling pins and even pasta makers to roll out their filo until it was as thin as possible. Rav and Selasi both finished before the time was up, whereas Jane and Val were rushing to complete the challenge. Benjamin, Andrew, Selasi all did well. Paul didn’t like the flavour of Tom’s filo fillings and said he was ‘disappointed’. Even though the judges thought Jane’s amuse bouches were too big, they loved her flavours. Val was only able to present 12 of her savoury filos, and the 12 were underdone. The pastry for her sweet filo was far too thick. Candice and Rav both also got great results. Val left this week, and although I’d found her quite irritating (I think she has a bit of a Marmite personality where you either love or hate her), I did feel sorry for her as she seemed very upset. The winner of star baker was Candice, however Jane came very close. Next week is a new theme – Botanicals week! I decided to make a Bakewell Tart this week as I’ve never actually made one. I wanted to make the more traditional looking tart with flaked almonds on top and a drizzle of icing. As pretty as Mary’s version looked, it’s a bit too much icing than I prefer on my Bakewell. I started by making the pastry. I rubbed butter into plain flour until it resembled breadcrumbs. Then I added cold water and formed a dough. I rolled out my pastry on my Joseph Joseph Roll Up Non-Slip Silicone Pastry Mat which I am loving using, it’s definitely my favourite product from their new baking range which they kindly sent me a few weeks ago. I’ve already used it three times! I lined a 9 inch tart tin with the pastry, leaving an overhang. I used a fork to prick the bottom of the pastry. Then I chilled it in the fridge for 30 minutes. I scrunched up some baking paper and lined the pastry, then added baking beans. It baked on 200C/180C Fan/350F/Gas Mark 4 for 15 minutes. To make the frangipane I creamed together butter and caster sugar. Then I added egg, almond extract and ground almonds. I took the pastry out of the oven and removed the baking beans and paper. I trimmed the edges for a neater finish. The pastry baked again for 10 minutes on the same temperature. I spread a layer of seedless raspberry jam on the bottom of the pastry case. I used approximately a third of a jar. Then I piped the frangipane over the top to avoid it mixing with the jam, and I smoothed it out on top. I sprinkled over some flaked almonds. I can understand why Mary and Paul chose Bakewell Tart as a technical challenge as it really fits with their theme of going back to basics. Any baker who bakes regularly will be able to knock one of these together easily and without too much fuss. It really is all about basic skills. When it was fully cool, I finished the tart with a drizzle of icing sugar mixed with enough water to get a thick, but pipable paste. You really can’t beat a Bakewell Tart and this was devoured within an hour by my colleagues! It was full of almond and jammy goodness, and the pastry was lovely and crisp. I’m linking up with Bake Off Bake Along hosted by Rhyme & Ribbons and This Particular, with the Sunday Fitness & Food Link Up hosted by Ilka’s Blog and Marathons & Motivation, with Recipe of the Week hosted by A Mummy Too, and Cook Blog Share hosted by Easy Peasy Foodie. 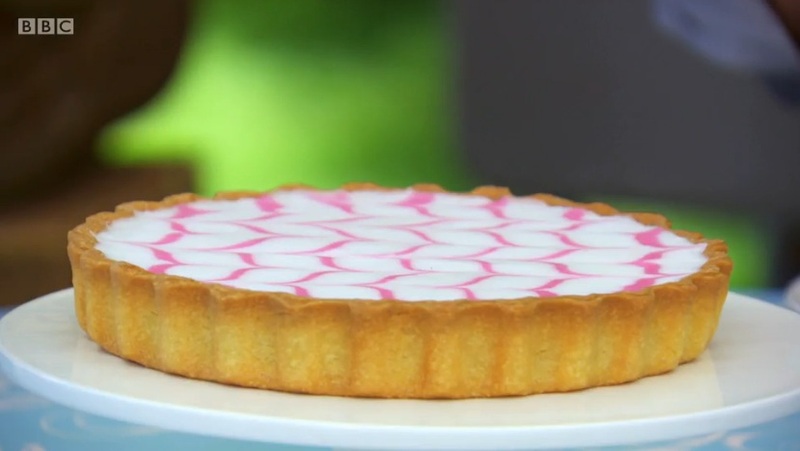 Now that looks like a perfect Bakewell…… Yum!!! Me too Eb! It's the end of an era. I do like a little bit of icing, but not the amount they used on Bake Off! Thank you Angela! Yours looked fab too!